Seeing Sachin Tendulkar bat yesterday and score his 41st hundred and taking India to victory against England in the 1st Test match in Chennai in the company of Yuvraj Singh prompted me to think – is this his greatest innings? – is this the crowning glory of his career? – it has taken me at least a week to get over his innings – so, I am pretty sure that this innings will definitely be one of his most significant innings – especially since this series was played in the shadows of the terrorist attacks in Mumbai. Sachin, being a Mumbaikar, was pretty clear that this victory will never be able to wipe out people’s loss after the attacks but for 5 days during which the Test match was played, people forgot their sorrows for a while and basked in the glory of their favorite son – Sachin Tendulkar. 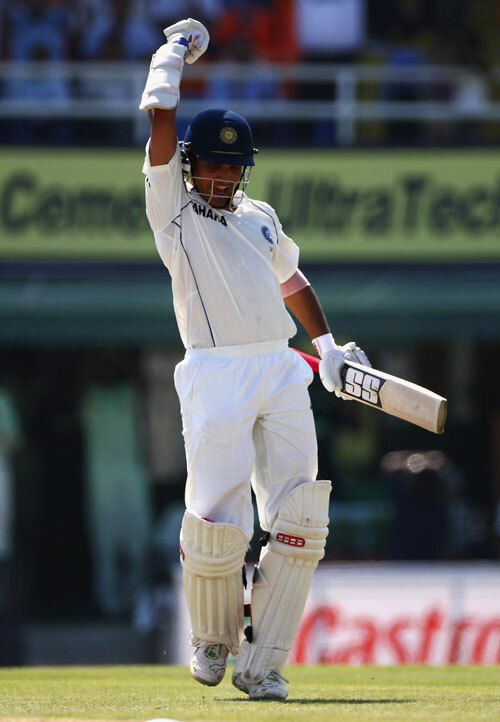 Coming back to his innings – it was pretty much an innings where he showed complete command of the situation. His experience helped him to guide Yuvraj Singh and together they brought India home in a record chase of 380+ runs. I don’t think England ever thought that this was a possibility. The fact that India managed to chase this down was pretty much due to the efforts of Virendra Sehwag, who, during a 2 hour afternoon session of manic hitting (83 of 68 balls) made the target achievable. India won the final Nagpur test by an over-whelming margin of 172 runs to complete a 2-0 rout of Australia. Needless to say, Australia were completely outplayed in this series. On the other hand, the performance of the Indian players were just superlative – take a look at how the Indian players performed. As you can see, it was a complete team performance. One thing that i must mention here is the captaincy of Dhoni – he led from the front, he was aggressive in his field placements and more importantly, he made the right changes whenever it was required. This talks about a captain who is very sure about his game. Congratulations to India for such a magnificient win. Wow! – last series, a determined century against the Aussies – what a way to sign off. To the Maharaja of Indian Cricket – hats off! Words cannot describe this pinnacle of achievement. 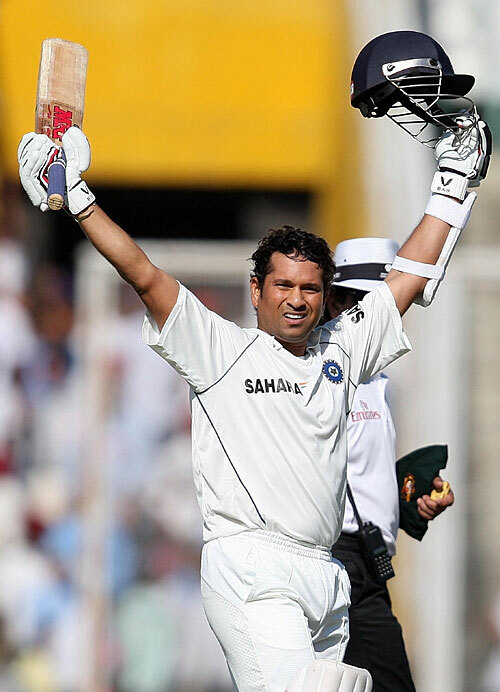 At 2:31 pm on October 17th, IST, Sachin Tendulkar became the highest Test run-getter of all time. Right now, he is at 12000+ runs and counting.